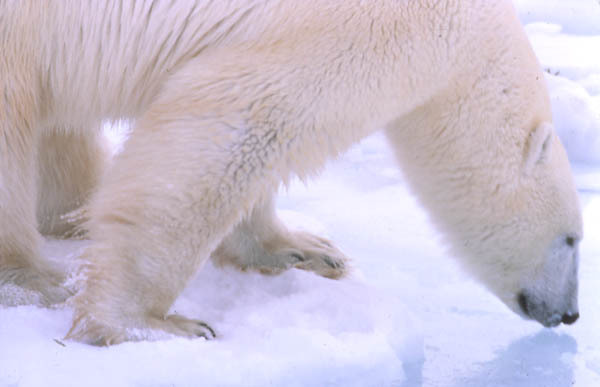 As the polar bear evolved, its appearance became different from its brown bear ancestors. The whole body was covered with hair, except for its nose and the pads of its feet. The fur changed to white to offer a camouflage in the landscape of snow and ice.